The article is devoted to the issues of formulation and solving the problems of accountancy, expenditures, when we use outsourcing. The article marks the necessity to organize such accountancy, when pricing groupings are formed according to the events and changes that take place in business. The article underlines the necessity of accountancy for all expenditures that can be achieved by using the ABC - method (Activity Based Costing), when we calculate. Moreover, the article underlines the importance and necessity to define the fractions of assets to form the product cost of the certain forms or areas of activity. The article indicates the structural factors that influence the formation of full cost. These factors form tacit or transactional expenses. When we use outsourcing, we must manage by expenditures maintaining economic unity. The article splits off connections between the strategic components when we use outsourcing. At the end of the article, the authors present the conclusions due to the results of study. Keywords: outsourcing, expenditures, pricing groupings, ABC-method, economic unity. Further, in modern sources of information there is no scientific evidence of outsourcing companies. In the accounting information sources choice between “make” or “buy” is limited to the comparison of alternative costs by cost apportionment. As Horngren notes some strategic objectives remain forgotten (Hall 2004, 255-260). It is common knowledge, the foundation of any accounting system – chart of accounts. Chart of accounts by types of financial and economic activity includes the accounts used in management accounting. In accounting area information on expenses, changes in accounting procedures related to costs, as it requires multiple ways records and disclosure. With such a record, it is possible to obtain valuable information about competitors of the company. However, this may incur additional charges on accounting and analysis, expanding the scope of accounting, as well as on information on current costs. 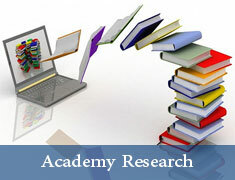 This research is based on theoretical (philosophical) method, applied approach, predictive analysis and special methods. Applied methods of dialectical logic are effective means of cognition determining costs that help to take into account the share of assets in value creation of products in certain types or fields of activity. There is an influence discovered by means of system analysis of structural factors affecting the creation of full cost, which form the implicit, called transaction costs. When outsourcing there is a necessity to control costs while respecting the principle of economic unity. The relation between the components of the strategy is pointed by means of structural- functional analysis when outsourcing. The laws of materialist dialectics such as transformation of quantity into quality, mutual penetration of polar opposites and their transformation into one another, development through contradiction or negation of the negation determines dialectical contradictions in the object of cognition that is outsourcing. Applied research method of system analysis helps to identify uncertainties for each option and comparing options on certain criteria. In this study, we use various methods of qualitative and quantitative study of reality: deterministic and probabilistic. Cost accounting system helps management staff to make decisions related to the purchase, production, distribution and sales, with the focus on added value. Added value unit of goods and services can be both industrial, purely commercial, banking and even the activities of public authority (Porter 1985, 48). Cost accounting system provides information on the cost of production: financial statements (income statement and financial situation) and information for the purposes of management, planning, monitoring in production and marketing. At present the role and significance of items expenses grouping is increasing. Traditional role of cost calculation is product price determination for the purposes of preparing the financial statements. When we use services of external organization-outsources the role of cost calculation is to provide relevant information for management decision-making (Figure 1). Figure 1 shows the correlation between items expenses grouping and the business world changes and events. For the purposes of planning and expense control, it is necessary to use different quantitative models and tools of accounting. In particular, such researchers as Kaplan and Cooper (1998) suggest using ABC-method (Activity Based Costing) within value chain in making decisions about outsourcing. At first, the company should define its value chain. You can create the chain in its general terms, that is, each generic category can be divided into a number of discrete areas of activity. When defining relevant activities in the value chain it is necessary to define spheres with discrete technologies and behavior of costs. Such functions as production and management are divided into different types of activities. The right degree of analysis of the processes in the chain depends on the behavior of costs of a particular activity. The basic principle of dividing into spheres is different behavior of costs. Using outsourcing, the processes should de detailed before and after outsourcing. This level of detailing is necessary to understand how outsourcing has affected the dynamics of the value chain. For example, in the context of outsourcing, contracting of specific activities in the internal chain can generate additional costs in the later period of production, owned by one of the company s customers. Therefore, clients can request price reduction for products if company has preferred outsourcing.
? using the principle of analyticity means that chart of accounts provides information with such details and generalization, which meets the needs of the relevant levels of management with the available information systems. Management accounting system contains fewer items, but more detailed in accordance with the specific goals. There is a variety of activities, levels of analysis and total activity. In addition, there are multiple copies of documents, types of data that can be demanded so there is a necessity in harmonization goals and objectives, types of reports, types of required measurements and the preparation of balanced factors. 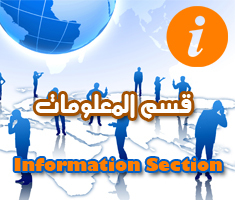 These items must be prepared and organized in accordance with the established rules.
? financial reporting system requires an extended amount of data for automatization or historical data analysis. Report preparation is important for accounting system in the service and industry sectors while in management accounting system it must contain current information about financial results and information about the quality and efficiency reports (Horngren et al. 2005, 14). The accounting methodology in accordance with its specification requires additional elements of accounting, the necessity of which is caused by different reasons. Firstly, the diversity of activities, the level of analysis, the level of accounting systems varies according to the special goals of each of the accounting systems. In the systems of financial reporting and accounts, the analysis is held due to the measurement of financial results in terms of clients, geographic regions, quality of work, etc. Account and use of costs by type of activity helps to reveal financial results in the context of specific activities. Various types of analysis in accounting systems for the purposes of cost management and traditional expenses look as follows (Ahrens and Chapman 2007, Michael 1992). Revenue cycle is the process of relations between the seller and the customer for the supply of products or services including conclusion the sale and purchase agreement, goods delivery, aftersales service; billings, debtors’ management, crediting money resources to an account. For planning production schedule, it is necessary to know costs of production, used materials, etc. Costs for planning do not increase the cost of production, but the calculation of production costs is important to evaluate the effectiveness of the economic unity. Accounting system includes different operations, for example, the preparation of documents. Documents confirm primary data and include the forecasting documents: lists, reports or bills. Documentation is regarded as one of the tools in the system of internal control (Shank and Govindarajan 1992, 124). James A. Hall divides three types of documents (Marshall and Steinbart 2004, 51). The first type is the original documents that describe external events affecting business processes of economic events, such as ordering and sales. The second type of documents is for describing the operations and activities regarding the purchase and storage. The third type of documents is notification (correspondence) that is sent to the customer at the company s expense and submitted into the company tracking system of all customer relationships (Moscov et al. 1989, 347). There are different types of reports using for cost control (Bouquin 2006, Briciu 2008, Horngren et al. 2005). For example, cost reports show actual costs, unit costs and can serve as life cycle cost reports. (Briciu et al. 2010, Hall 2004, Michael et al. 1988, Mikhailov 2006) Figure 3 shows the relationship between the components of the strategy by means of outsourcing, depending on the scheme, Robert & David (Coase, http://baguzin.ru/wp/?p=5116). Actually, technical analytic account “Expenses on elements” is used when outsourcing. These costs are collected on the sub-account of the first order “Other material costs”, which represent expenses for industrial works and services provided by outside organizations or companies.
? the correlation between the cost of the product and the total cost method (in this case, all direct costs are considered as distributed according to centers of production).
? Outsourcing some types of activities helps to achieve such goals as cost saving, flexibility in operations and quick response to client requests. Outsourcing is an important element of maintaining the competitive position of the organization on the market. In addition, the main point of outsourcing is redesign, the aim of which is to improve the quality of work in accordance with customer’s requirements.
? Cost accounting system is essential; it allows forming the information base for making effective managerial decisions. Outsourcing accounting allows you to target the rational use of funds intended for the execution of the order in accordance with the pricing groups.
? Considering cost accounting, it is possible to use ABC method because of the division of company infrastructure, processes and activities, unrelated directly to the company but having a significant role for economic and financial indicators. The cost of outsourcing contracts has a decisive influence on purchase, operation, distribution and sales decisions. At the same time, outsourcing is connected with some risks that should be considered not only in relation to a particular field or function, but also in the diversity of risks or their combination. The main criteria of making decisions are to ensure business continuity.
? It is necessary to take into account planning and company strategy in the process of cost-benefit analysis and making decisions of outsourcing contracts to determine the strengths and weaknesses of the company, the effectiveness of environmental opportunities and threats and the adoption of a systemic and strategic plans.
? Costs and separate cost accounting, the process of management accounting at the enterprises should be based on Uniform corporate automated control system of finances and resources and can be used with accounting outsourcing. The recommended system can improve the quality of accounting information and help to make the correct managerial decisions by all authorities.